To simply put it, your potential customers are on Facebook. Facebook reported that they had 2.2 billion monthly active users. That is nearly a third of the world population. 1.4 billion of those users log onto Facebook every single day. Just to put it into perspective, over 87% of Americans use the internet every day. Typically in marketing, if you’ve got an opportunity to advertise in a place where most of your customers can be found on a daily basis—and they spend an average of 50 minutes at that place per day. Of course, you need to be looking at advertising on Facebook. AND you can spend an average of $0.20 - $0.80 to reach 1,000 people in your target audience. Now, you could pay $9,000 for a billboard that only lasts 3 weeks and reaches random people every day. Facebook comes with numerous advantages that allow you to choose who you want to advertise too and you can get extremely specific with it by reaching only people who are interested in your product or service. For Example: If you sell baby products online then you can target Mothers with new-born kids. Your ads will become ten times more effective when you target people who are already interested in what you have to offer. There are really 3 main ways and then some very advanced ways to target your potential customers on Facebook. But I'm going to focus on going over the 3 main ways for now, which is core audience targeting, custom audience, and lookalike audiences. Then I will get into the ways to increase your results later. You are able to find this option when you create a Facebook business manager. 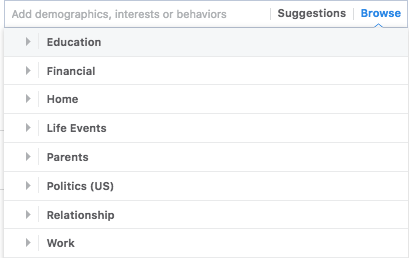 Facebook assigns users to various categories based on their internal data and then allows advertisers to pick specific categories to target those people. While this might seem like a somewhat arbitrary way to approach things, Facebook’s algorithms are actually quite amazing so basic audience targeting can deliver surprising results. So there are options on Facebook that allow you to use various levels of location targeting (city, state, zip code, country, etc) to target anyone within a specified radius of your law firm location. Continuing on with the example for law firms depending on who your law firm typically serves, setting up specific ages to target, allows for you to zero in on your audience. Target people by their self-described demographic data. For example, you can target parents who have recently changed their relationship status or even specifically target their specific income brackets. Choosing to target different behaviors allows for finding people based on job role, purchasing behavior or other specific actions that a user takes on Facebook. As you might imagine, while these targeting options are interesting, and can be highly effective. If we continue with our example of the law firm there are going to be certain areas of law that receive better results than others using these targeting options. Fortunately, though, audience targeting isn’t the only targeting option for Facebook ads it gets extremely more detailed than this! Just as a reminder we went over the basic Facebook targeting options. So if you want to take your sales, leads, and traffic from great to amazing then these next targeting options may be for you. 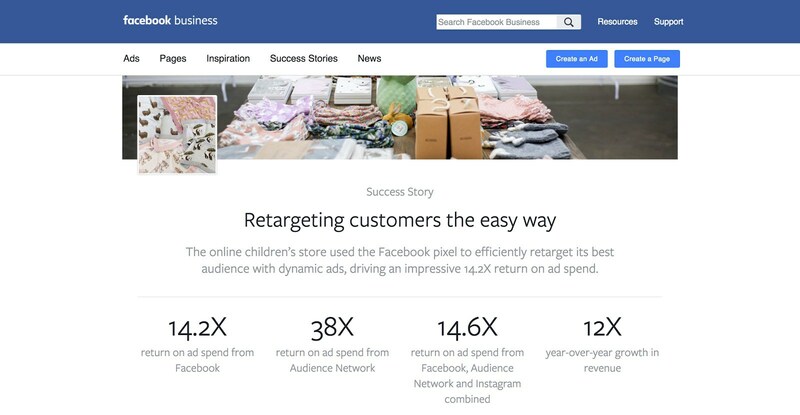 Facebook retargeting is an option within custom audiences that works much the same as every other type of retargeting. Allowing you to target anyone who visited your website and when they leave your website an advertisement appears in front of them when they go to someone else's website. Which is outstanding and can increase your sales dramatically if used properly. Look at the results from this success story. 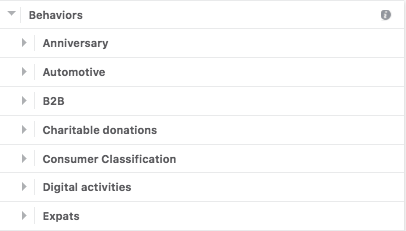 Facebook has options to pair what you're doing on Facebook to work with PPC campaigns as well. So don't worry you can still use both channels to capture attention and drive action. But you might just use Facebook ads only after you see how successful the results are. Hopefully, in the process of marketing your business, you’ve collected a large list of emails and phone numbers. Facebook will find any profile associated with an email or phone number on that list. Then all of those profiles will go into a new custom audience that you can then target on Facebook. So, if someone visited your website, filled out a form and then never responded to your outreach attempts. Then this will allow you to get back in front of them on Facebook increasing the chances of them reaching out to you. You can create “lookalike audiences” that identify Facebook users who are very similar to the users from your custom audience that have successfully completed your goal. Whether that goal is a purchase, a lead, or submission of their information on your website. So it creates an audience around those users that you can then market too. The amount of conversions you can now potentially get is mind-blowing. You are targeting what I like to call the 'golden audience'. Meaning you'll be placing ads in front of people who are extremely likely to make a purchase. The Facebook algorithm is remarkably effective when finding a lookalike audience, which means you can essentially use lookalike audiences to market to thousands or even millions of people who are very similar to the people who have already expressed an interest in your business. You can use lookalike audiences with your retargeting audiences, which focuses your marketing efforts on the people who are most likely to respond to your ads. Once again increasing your conversions and lowering your cost per conversion even further. At this point in having this all applied to your marketing efforts, you would have received more potential clients than you ever have before, compared to the marketing you have tried in the past. You will not get good results if you send Facebook Ad traffic to your homepage. A good Facebook ad will have a very specific message. Typically that message needs to closely reflect the page, that the person will go to, in order to submit a contact form or make a purchase. It’s best to create a separate landing page for each new campaign. This will make your ads more effective and allow you to make the most out of those Facebook clicks. As you create your landing pages, it’s a good idea to use what you know about your audience from your Facebook audience targeting. If you don't have a landing page there are many options to go with but we specifically use Clickfunnels for the landing pages we create. So for example: if you’re mostly targeting thirty-five plus-year-old women that have kids. Then a picture of a mom with kids will resonate well with your target audience. 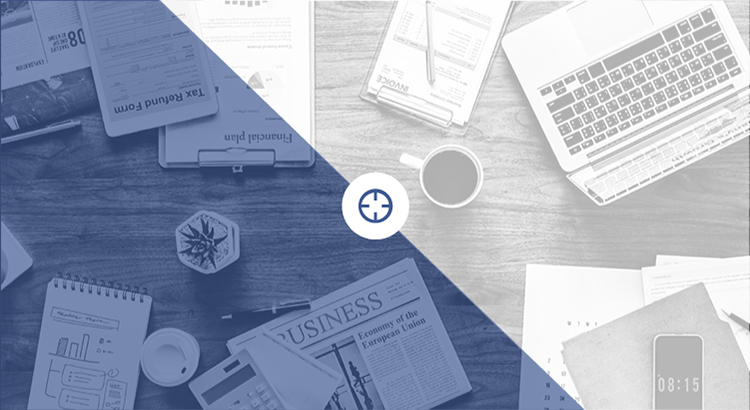 We went over the 3 main ways you can target your audience with Facebook ads and then some of the individual targeting options you have within those ways. I went over why landing pages are important and should be used for your Facebook ads. To be honest, if you aren’t willing to go through the process of having specific pages for your Facebook ads, running Facebook ads may not be for you. Because the ones who get the results are the ones who apply the things that have been proven to work. 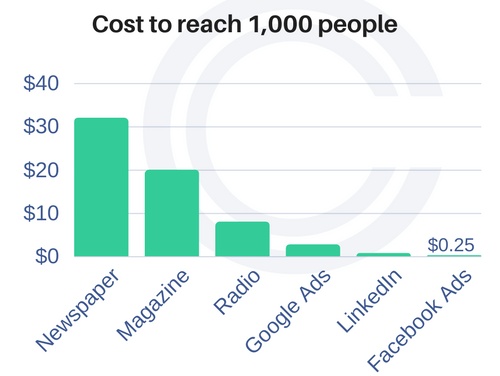 So you might get a lot of traffic, but paying to send a lot of traffic to the wrong page is a great way to waste a lot of money. With the wildly changing use of how people interact with social media, how people now make decisions to schedule, submit or buy something from an ad they see. Has been and will continue to grow for years. There are so many opportunities to get clients and customers on social media and I would like to help you as much as possible. What ways are you going to try to increase your marketing efforts?